The passing of the Spanish flamenco guitarist Paco de Lucia touches many. The passing of this great flamenco guitarist has left numerous guitarists around the world feeling like orphans. His sudden death at a relatively young age has been a shock to the guitar world. This gifted artist was showered with many awards throughout his career. His flamenco contribution followed in the footsteps of the masters Nino Ricardo and Sabicas. Paco was taught by his father who insisted he practise 12 hours a day. He played the instrument differently to classically trained guitarists in that he rested the guitar on his right leg, rather than his left. He however did not abandon classical guitar entirely, and used the repertoire of Joaquin Rodrigo and Manuel de Falla; he also employed classical guitar techniques to enrich the flamenco idiom. Paco de Lucia became a worldwide phenomenon when he partnered with the singer Jose Monge Cruz (Camaron). The two took flamenco out the small cafes and cabarets, and presented it in fiery performances gracing the stages of the world's most reknowned theatres. They were also welcomed by the big recording companies. However, the duo was not without its critics, who claimed they were breaking with tradition. As a soloist Paco continued to innovate musically, he included electric bass and percussion in his hit 'Entre dos Aguas'. He also formed a sextet with the Brazilian percussionist Rubem Dantas, with which he toured worldwide over nearly two decades. 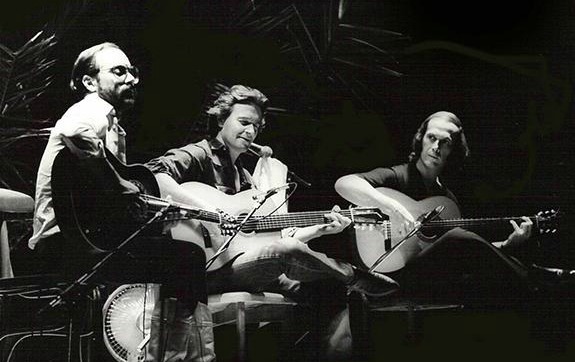 With Al di Meola and John McLaughlin, Paco formed a highly successful trio, despite their different musical styles and techniques. For a time the Spaniard withdrew to Mexico, where he recuperated from the stresses and demands of fame. Upon his return to Spain, he released the album 'Luzia', on which he sang for the first time. He continued his many collaborations and tours, and produced other artists for several years. Another spectacular album 'Cositas Buenas' followed, again furthering the evolution of rhythm, melody and guitar technique. The album was awarded a Grammy. His final album 'Cancion Andaluza' will be released posthumously at the end of April. This album is dedicated to the <i>copla</i>, the traditional Spanish song. And so we bid farewell to Paco de Lucia, the father of Modern Flamenco, and look forward to those artists who, inpsired by his musical exploration and innovation, will aspire to follow in his footsteps. Find more guitar news at this page!